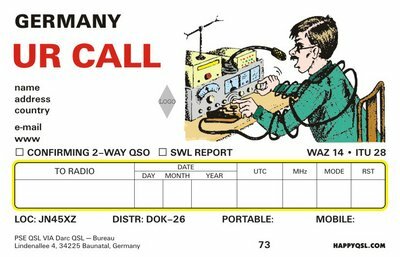 Choose one of 60 versions. 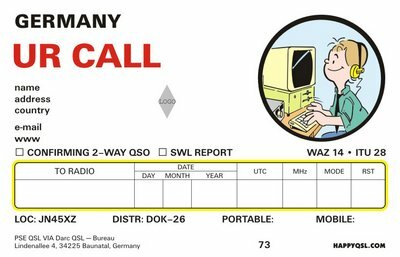 After clicking on selected version, you can continue in ordering. 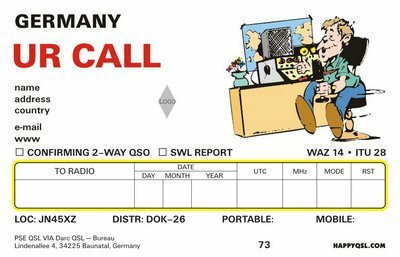 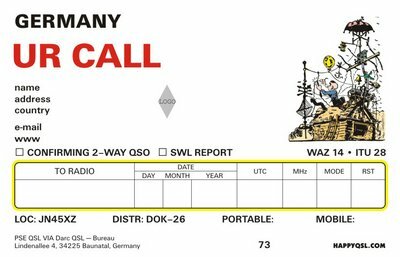 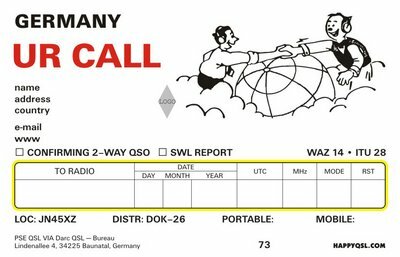 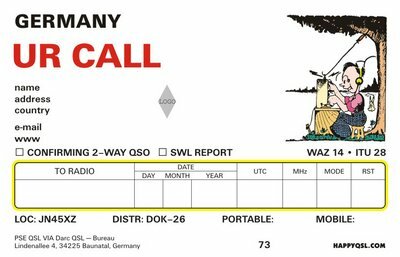 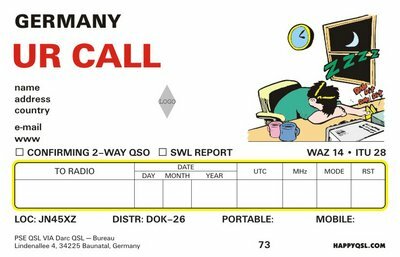 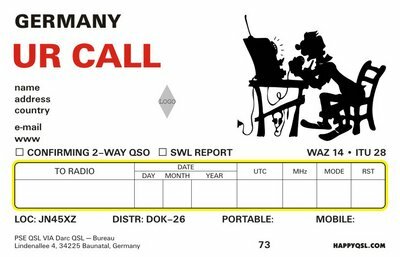 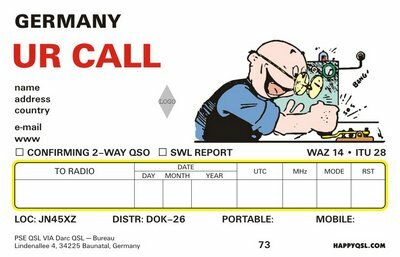 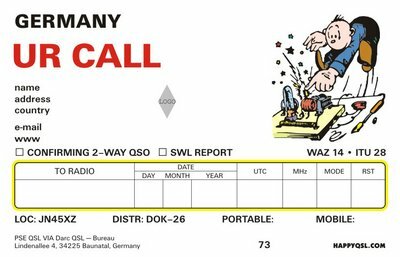 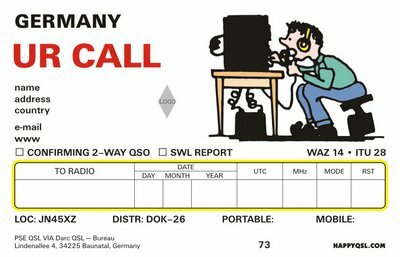 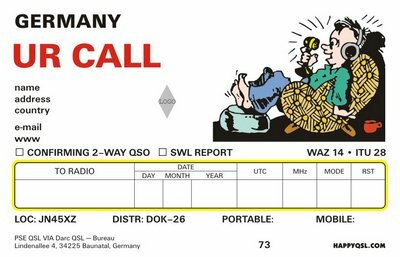 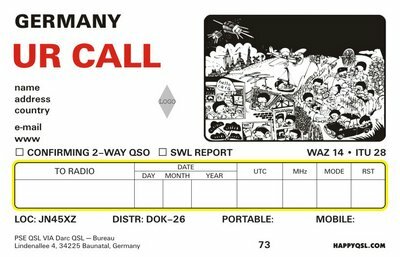 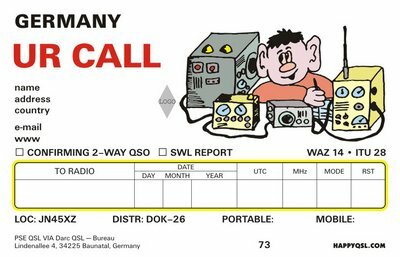 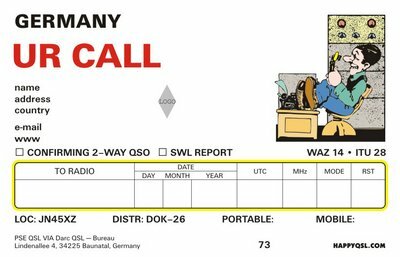 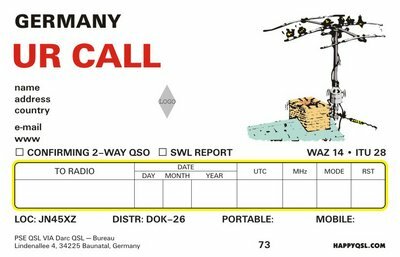 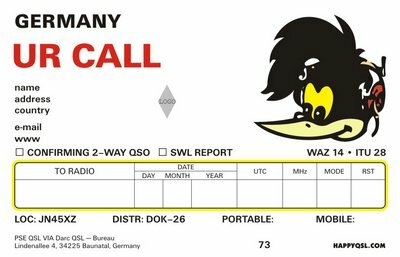 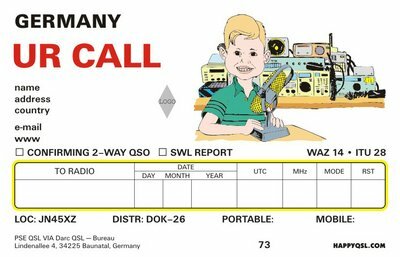 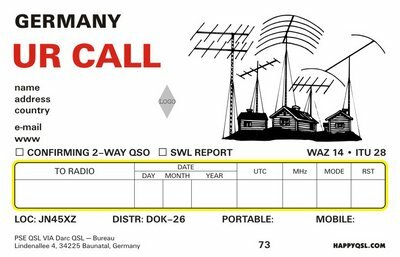 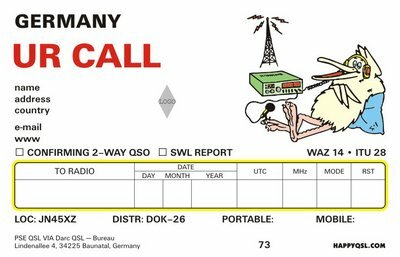 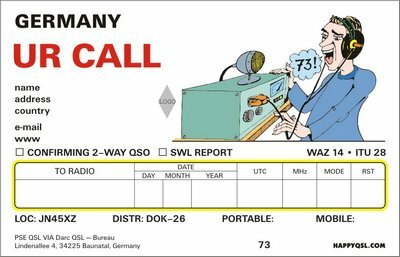 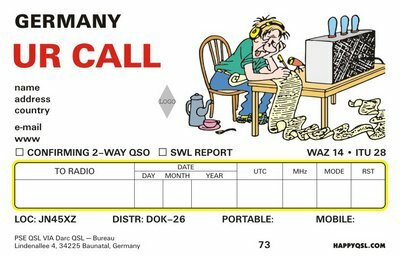 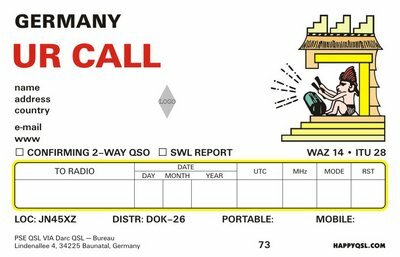 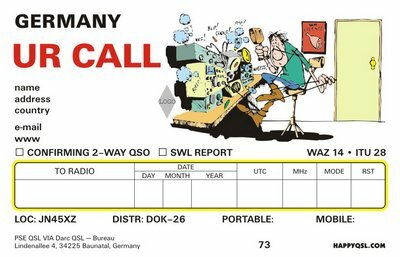 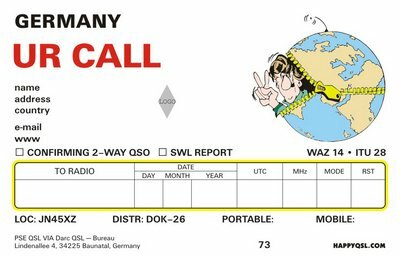 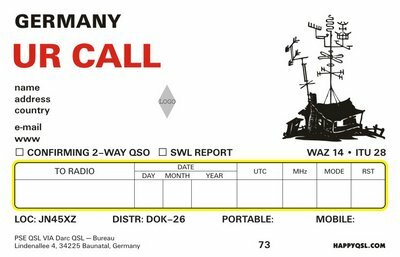 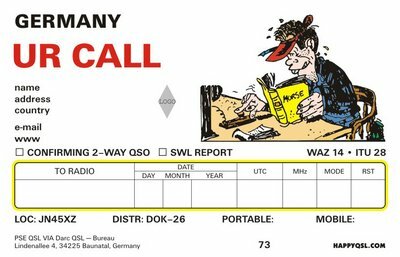 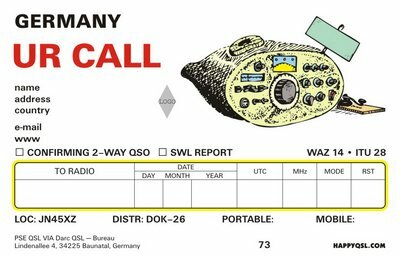 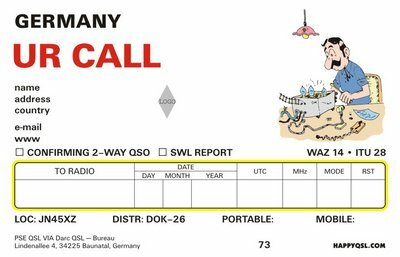 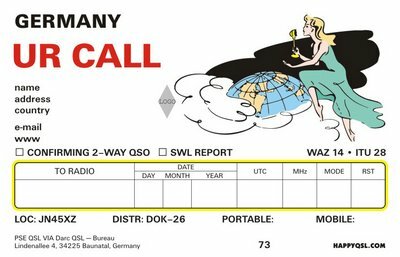 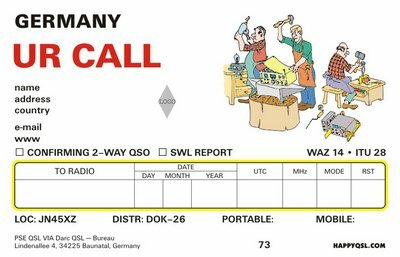 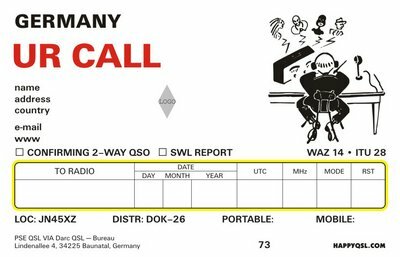 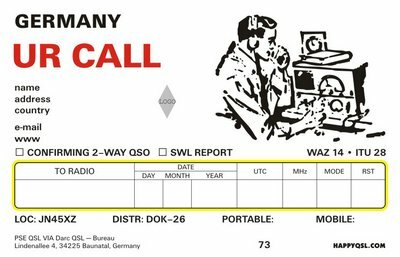 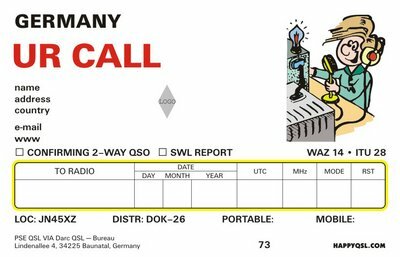 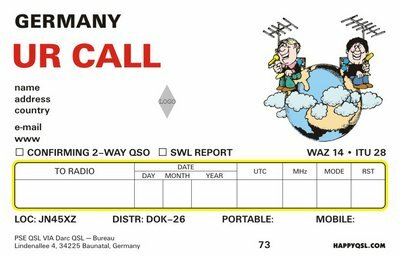 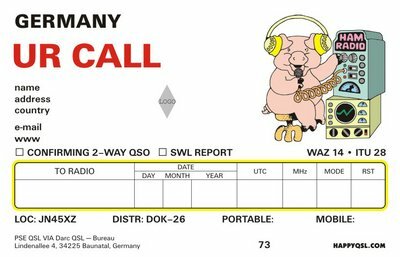 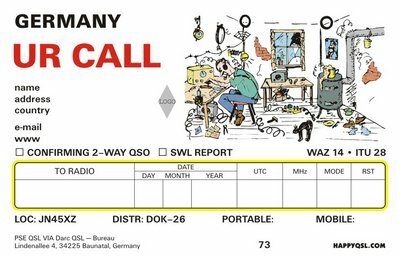 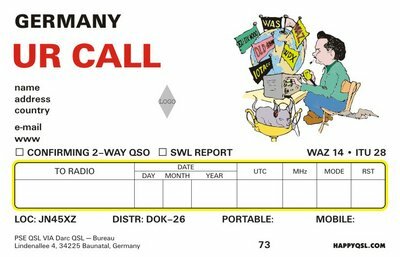 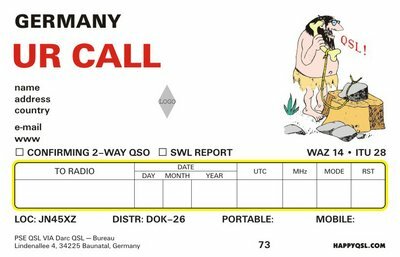 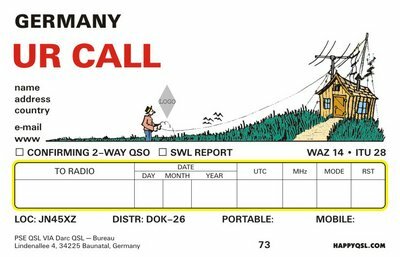 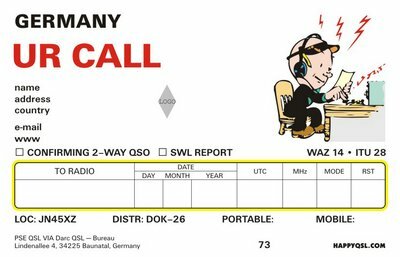 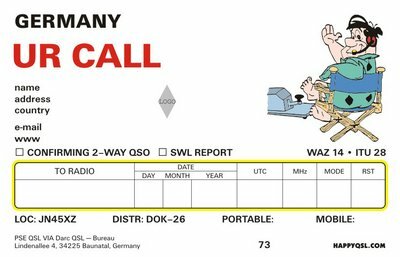 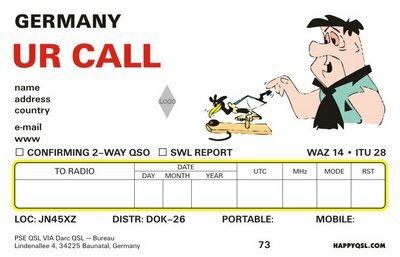 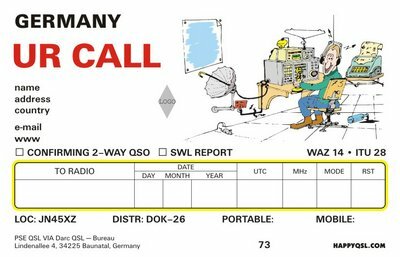 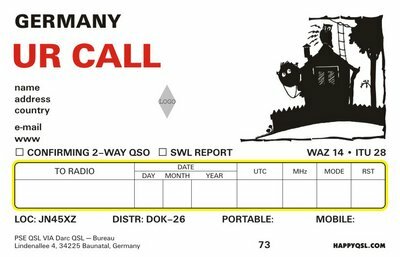 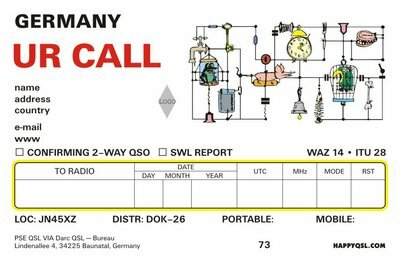 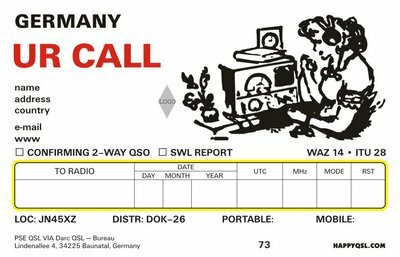 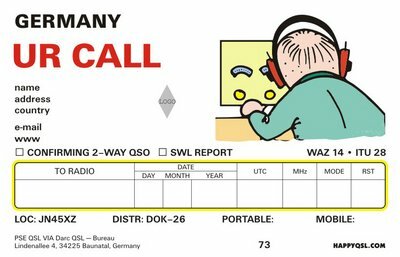 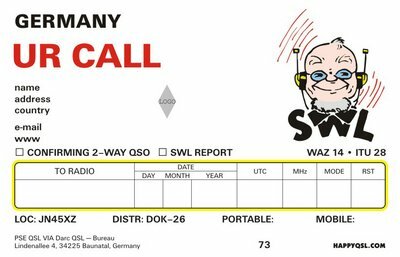 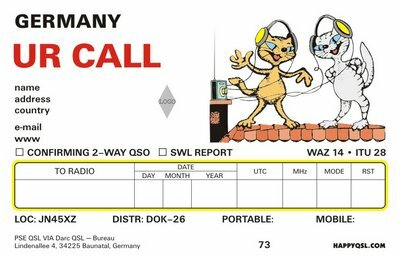 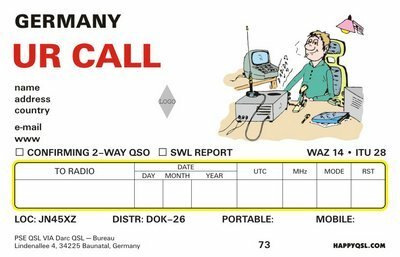 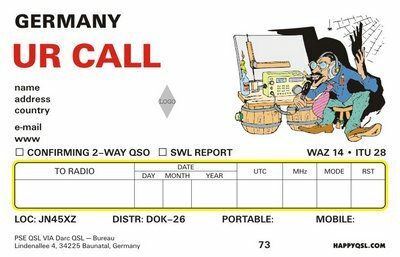 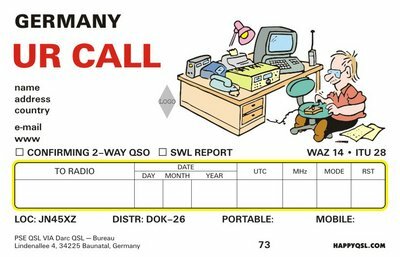 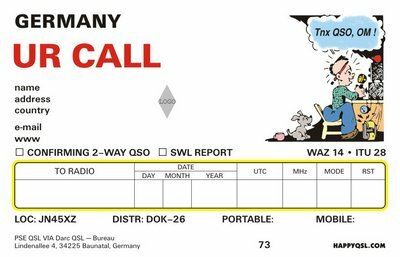 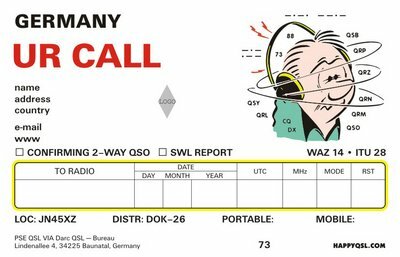 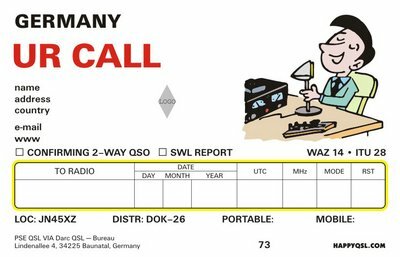 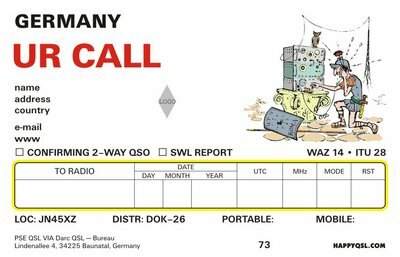 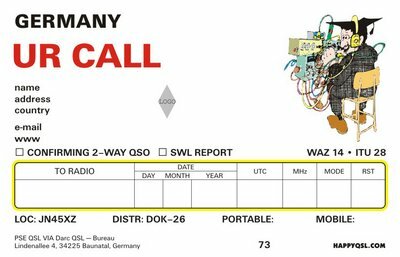 We can remove the QSO box from the cards or change the colour of your callsign if you ask for it. 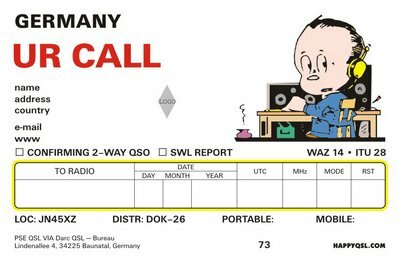 Please write the requests in the "Special requests" field in the ordering form.